We, the residents of Delville, Denlee, Parkhill Gardens, Webber, Lambton, Klippoortjie AL, Klippoortjie North, Hazeldene and Hazelpark, and others affected not listed herein at the time of draft, formally petition the Gauteng MMC in charge of the infrastructure for Power, the EMM City Manager and the EMM HOD for electricity and finance. 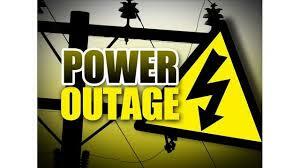 To intervene and resolve the ongoing power outages in our areas. We demand a full situational report, corrective action plans and maintenance report. For every day that the residents have been without power, Council needs to credit the accounts of the resident affected and swiftly resolve all subsequent damages and/or loss claims submitted by residents.